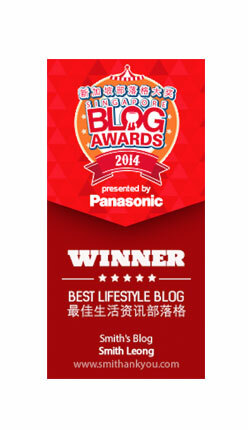 ahH~~~AhH~ ~ Smithankyou - Lifestyle and Travel Photo Blog. "purple light~ in the valley~"
"left toe right toe keep up the tempo~"
"i'm a steam roller baby~"
feel damm good to see him around again..it feels like he's just gone overseas for the week when i'm in camp doing guard duty , doing presentation and stuff..
had a great dinner with dear, kong, v goh,jacky , faith and sr.. spend some money there and the dinner was good.. very full and filling.. wanted to go find something to do and watch SAW 2.. but we cant find a place to do it.. so i actualli went home early.. around 10+ and everyone seem sad on friday nite..
meet my normal gang at nite at ZEN!! this is the last week we'll be there.. cause it's gonna relocate.. :CRY: NO!!! I hate to think abt this.. we were all damm high that nite.. and i have a friend which we didnt see for 11yrs coming down to join us.. surprising she blend in as fast as a cup of ice blend coffee from sweet talk!! joycelyn.. nice little girl.. we had many drinks and singing our heart out contest as ZEN was rather empty that nite.. da ma was sick and she left us early.. :sob: but we went home damm ealry as yiling got knock out early and joycelyn got curfew.. :hee: but well all of us enjoy ourself.. that's the most important..
realli like the feeling at ZEn..very cosy and happening for us.. our tempo towards each other.. compromise..and i like jacky when singing.. even he is much better then us.. he always give us chance to sing on our own even when he know the song very well.. haha.. and of cause he know wat are the song we like and will delicate it for us to sing..
most happy for the nite is still jacky la.. cause his "x'mas gift" have arrive at my place and i have pass it to him lor..
Sunday - work work work.. it's all good.. the choir is realli sweet.. and the cool singing.. and joycelyn was the last min stand in santarina!! :lol: it's all good.. that's gonna be my last show.. very tiring.. very hot and sweaty.. but FUN!! i miss it already..
now.. couting down to KL trip.. will i see mr.Ivan Koh .. hmmm.. tsk tsk tsk..